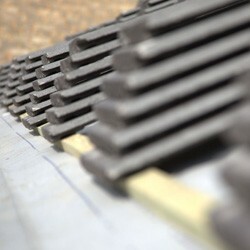 We are expert roofers who can provide tiled roof construction services as well as repairs to your existing roof tiling. All of our staff are experienced in a range of roof tiling services and we can offer new installations, repairs and maintenance for tiled tiled roofs in ceramic, clay and concrete to suit your needs. One of the best advantages of using tiles on your roof is that you can get in a range of colours and textures to suit the style of your property and your own personal taste. Repairs are easy too. Tiled roofs are a great investment because they are hard-wearing and last for many years. We offer new tiled roofing and repairs in concrete, clay and ceramic tiles to give you the most choice. All of these tiles come in a vast range of colours giving you ultimate control over the final look of your roof. If you'd like a free estimate, give us a call on 01482 549 915 and we'll happily provide one so that you can see how affordable quality roofing really can be! We can also offer you a free consultation if you'd like to discuss your needs and need advice before making the right decision for the roof on your home.